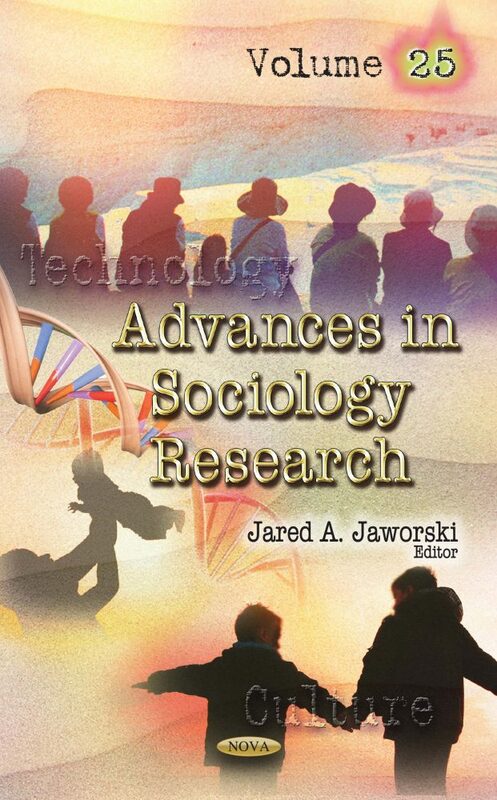 Advances in Sociology Research. Volume 25 opens with a chapter underscoring the importance of this age-old cultural practice of herding in relation to Basotho males and its implications to the non-formal education (NFE) policy and practice. To do this, the authors present the findings of an interpretative study conducted on a snowball-sample of thirty out of an approximated population of 22 0000 Basotho herders aged between 18 and 45 years using the transect walk, interviews and photo-voice data collection techniques. Following this, a study is presented which examined differences in the work-family conflict between the active parenting stage and the supportive parenting stage. Practical suggestions for working parents and professionals are also provided. A third study explores possible trends, issues and problems that hinder the labour market integration of youth immigrants in the EU, suggesting solutions to improve the situation. The economic recession has hit immigrants hard in most EU member states, and youth immigrants are especially vulnerable to the effects of unstable economic cycles in the labour market. Later, the methodological and ethical strengths and challenges of conducting cross-cultural qualitative interviews are analyzed. The authors conducted interviews with racial and ethnic minorities in the United States; the researcher with insider status is Chinese American and conducted research with Asian community leaders, while the researcher with outsider status is European American and studied adults who were unaccompanied refugee minors of a variety of non-European racial backgrounds. Afterwards, the American obesity epidemic is examined, particularly the way federal and state level efforts to decrease fast food consumption have been ineffective among African Americans. This is a call for a specific sociological framework that can be used to better understand race-based disparities in obesity. The succeeding chapter presents a systemic model of working with families of preschool-age children, based on Narrative Therapy and Strategic Family Therapy. The model utilises a relaxed and playful approach which assisted with engagement of all family members. Multi-sensory communication is integrated with language-based intervention, at the appropriate developmental level for young children. The advantages of whole family work for the treatment of common childhood problems are described. Next, the authors study the consumption of drugs by homeless children and adolescents. A dysfunctional family structure and the absence of adult role models negatively impacts access to continued treatment. The book attempts to identify and evaluate the causes, effects and treatment options for youth drug users, and the efficacy of the Mobile Outpatient Clinic’s model to systematize and disseminate integrated healthcare strategies for children and adolescents. The final study aims to investigate possible shifts in economic activity due to the financial crisis that may contribute to the strengthening or weakening of productive sectors and, as a result, to the change of the economic map of Europe. The authors determine that appropriate state policies should be established, especially in countries affected by the crisis, such as Greece, in order to strengthen the competitiveness of their dynamic productive sectors.